After a long time of working and waiting, waiting and working, my first 3 patterns are now ready to present to you! Before I get to the giveaway part of this post though, I thought I'd share a little bit about how and why I got started designing quilts. My Grandma Baldridge has been an avid quilter as long as I can remember. It has always been "her thing" and up until about 11 years ago it didn't seem like anyone else in the family was following suit. My mom had always been a great seamstress and often tried to get me to make clothes and such, but it never really interested me. I had just gotten married and was over at my grandma's house one day when I had the spontaneous feeling to ask her if she would teach me how to quilt. It wasn't something that I had thought too much about (prior to my asking) but as we got started I quickly found that I shared the same passion as her. She told me to first pick a pattern, so I told her about a quilt that was for sale at a store called The Quilted Bear. I really liked it so we proceeded to mimick the design. The thought never occured to me to actually go to a quilt store and pick out one of their patterns! But, I felt it was easy enough to figure out for myself. I was really drawn to it's scrappiness. All of the prints were plaids, checks and stripes. The blocks were Court House Step blocks. My grandma and I spent many days over the next few months going to local quilt shops together and collecting fabrics that were either - plaids, checks or stripes in blues, reds, golds and greens. She taught me about the importance of using good quality fabrics and then we started working on the quilt. She taught me about pre-washing my fabric (so as to eliminate any bleeding or shrinking), the importance of cutting precisely (she seemed to tease me a little bit about what a perfectionist I was when it came to that), how to match up seams, do mitered corners, the binding -basically the whole nine yards. That first quilt took me about 3 years (if I remember correctly) because when I went to square up my blocks they were all coming out to be different sizes! I was getting so frustrated! When I showed my husband and asked what could be the problem, he asked me if I was staying true to the 1/4" seam allowance I was suppose to be using. Well, I learned the hard way that if you're off slightly on every seam, it can make a big difference in the overall size of the blocks. After putting it away and then pulling it back out many times I finally finished the quilt. Somewhere in that time, my grandma (better known as "Gigi" by her great-grandchildren) gave me a thimble. I still use it to this day (mostly when I do my bindings, as I am not much of a hand quilter.) With every stitch I take I think of her. We share the same passion. Quilting has truly bonded us together. We continue to "talk quilting" and sometimes go to quilt guild meetings together when we get the chance. I'm thankful to share a common thread with my grandma and will always treasure the times we've spent together shopping, stitching & embracing the art of quilting. So when I started thinking of owning my own quilting business, I knew the name had to involve Gigi. After playing around with some names, I finally decided on Gigi's Thimble. One day I happened upon Moda's Fabricmatcher website. They were doing a contest where you had to use all of Fig Tree's fabrics to design a quilt online. The judge was Joanna Figueroa (from Fig Tree). I decided to give it a "go" and was completely ecstatic when she chose my design to be the grand prize winner. How lucky was I?!? My husband had just gotten laid off from his job, so I was so excited to have some fabric to play with and keep me busy. Moda generously sent me 2 fat quarter bundles and a bunch of Joanna's patterns. As I was showing my hubby which patterns I was going to make first, he said, "Why don't you do one of your own patterns?" So, I said, "o.k!" Shortly after starting that first quilt, I talked with a friend that gave me that extra push I needed. She's had a dream of selling a CD of her music (she is amazingly good and should have gone to Broadway) so together we decided that we were going to pursue our dreams. We often talk to see how the other is doing and to offer encouragement and support. In the end, this process has taken a lot longer than I think it should have. I've tried to figure it all out and do it all on my own. I've realized that I am not a graphic designer and I am not a photographer. I am a quilter. Hopefully I will get better at both of those other areas, but in the meantime I hired a friend to make the cover sheets for me. They are so much better than I could have done myself and after hiring her, I finally have my patterns. I also had Mary of Mary's Cottage Quilts offering support. Mary has been so sweet to answer questions for me from time to time and I really appreciate her kindness and willingness to share lots of great tips with me. Thanks Mary!!! I'm just so excited that I've finally got my patterns done so I would ♥ ♥ ♥ to give away some copies, along with some other fun stuff. Over the next 3 weeks I will be doing 3 giveaways because of my 3 new patterns! This week I will be giving away a set of my first 3 patterns to 3 different people!!! 1.) Just leave me a comment below to receive one entry. 2.) If you are a follower of my blog then leave me a comment that says "follower" for one more entry. 3.) If you want to help a girl out by spreading the word about my new pattern design company then grab this button and blog about this giveaway. Leave me a comment that says "blog" for one more entry. This week's giveaway will end at midnight on Tuesday, February 23rd with the winner announced Wednesday morning. I also just want to say thanks for all of your support and encouragement (and patience) as I've been working on this. This has been really fun and exciting for me and I hope that you will enjoy my patterns! Amber, congrats! I love all of them especially the 3rd. Good job. I have been a follower for some time now and I a sooooooooooooooo happy for you! I know you said leave several comments...but for the lack of time, I am just going to tell you that I am taking your button and posting, you will find it on my left sidebar. OH, and of course I'm a follower! Fabulous! They look amazing and I can't wait to see them in person. I am so happy that things are moving forward. HUGS! They are all beautiful!! Mod medallions is my favorite. I love the colors too. Congratulations!! I love the story! How sweet. Congratulations! I love your patterns Sugar & Spice is my favorite. Way to go Girl, these are fantastic. I love the first one the most. Oh my goodness, your patterns are adorable. Thanks for entering me in your giveaway. Congrats, Amber. Enjoyed the story and love the Mod Medallions! Are you selling them primarily through Etsy or going to be marketing them to shops as well? Amber, they look great. Congratulations on all of your hard work. I wish you much success. Beautiful patterns! What a great giveaway! And I am a follower already. Congratulations! Your patterns look gorgeous. Well done. Congratulations, Amber. They look terrific! All of your hard work has certainly paid off, they are beautiful. Congratulations....I love your patterns. My favorite is Sugar & Spice. I LOVE the mod medallions pattern! So cool that you are doing this! And I follow you in google reader! I can't tell you how much your story touches my heart. My grandmother passed away when I was 8 and I've always missed having her in my life. The things you do with your grandmother are exactly the kind of experiences I'd had with mine. I know that she is happy that I've taken up quilting as she loved it so much. Thank you so much for sharing your story! Such a great story, your lucky you have those great memories with your grandmother. I am so thrilled for you! I love the medallions one!! Its making me want to try out my first full size quilt! I love all the patterns they are awesome. YAY! Congrats. Ambs! I am so happy for you, I LOVE the medallions one! Good job. love how patter covers turned out. of corse Im a reader of your cute blog and I will for sure put your cute link on the side. Hi Amber, I have just found your blog via someone else's blog and I'm so glad I stumbled acroos it. I got so caught up in reading your background story of how you got to where you are now that I forgot you were doing a giveaway! Such a lovely story! Congratulations on your first patterns! They are all beautiful but the 3rd one really appeals to me. Thanks for the chance to win one. Oh and I'm now a follower! Congrats on your patterns, they are beautiful. I find it so fun to create. I placed your button on my right top side bar. I hope that counts. Thanks for the great giveaway. Nice to meet you. Nice patterns, found you through Jaybird Quilts. Oh and I'm following you too!! Love the story about your grandma & how she inspired you! Thanks for the chance to win Sharon. Hi, I've become a follower too & your patterns are great! Love the Mod Medallions--very unique! Sharon. Congratulations, following your dreams and having them come true. Your patterns are wonderful. Can't wait to see what else you are working on. Love your quilts and your story! 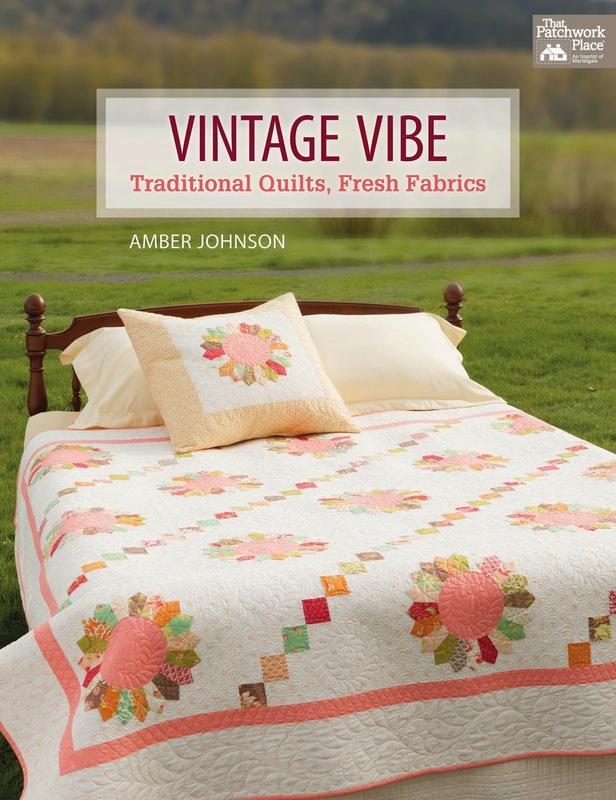 Amber, thank you for sharing your sweet story of your love for quilting. Your patterns are precious! I'll be glad to post your button and share the good news, and thanks for the giveaway! Congratulations Amber. The patterns are amazing! Thanks for sharing your story - it is inspiring...finding your passion, sharing it with family, and making it your own. Hello Amber, congrats!! !, I love your patterns!, way to go! What adorable patterns! Love them all. I'm really diggin' the Mod Medallions. Oh..and I'm now a follower too. Thanks to Catherine's posting about this on her blog, which I also follow, I just HAD to come over and take a look see. I'm glad I did! 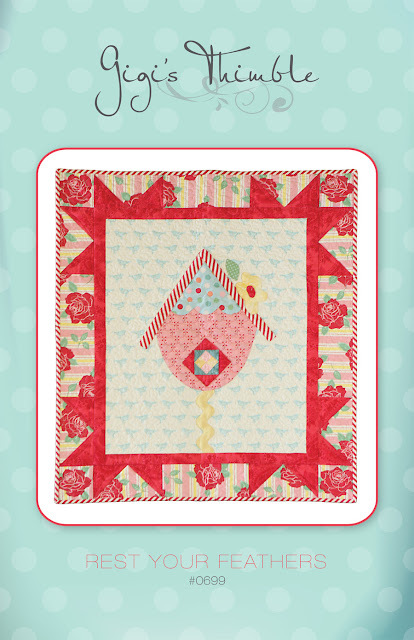 Amber... love your new quilt patterns!!! Very cute and original. I especially love the mod medallions. Great job! Congratulations, Amber. I love your patterns. Really enjoyed reading about your quilting with your grandmother. I already have 2 granddaughters that love to sew with me. The story of you and your friend supporting each other touched my heart too, because we need our friends to believe in us. Hi Amber. I am a follower. I'm thinking the first on is the one you are going to do with the 30's red, white and blue. I am on a hunt for those fabrics, so I will follow along with what you do. Thank you for sharing your story with us. It is so nice to get to know you a bit. I hope you will be very successfull with your patterns and thanks for giving us the chance to win some! I am also a follower now! That mod medallions quilt is great! I have never seen anything quite like it before. Good work. Wow--I would be so very happy to win. Thanks. love these patterns. very very nice! Your patterns are lovely. Keep going! Very lovely patterns. Congrats to you! I have become a follower and I will post your button on my blog. Great patterns, congrats to your win! I have become a follower and will add your button to my sidebar on my blog. I love the patterns, and I especially love the story. Follower! Congrats! They are all fabulous! Those are some pretty sharp patterns, I really really like the third one. It struck just the right note for me. love the medallion quilt design! 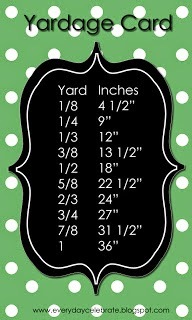 I have just become a follower after discovering Jandi In Stitches blog. Your patterns are delightful, congratulations! Awesome quilts and patterns! Congratulations--I would love make some of the quilts. I will definitely become a follower! I love your patterns, and would love to be entered in your giveaway. I have signed on as a follower, and I am posting your button on my blog. Good luck on your pattern making journey, they are adorable and if the directions are anything like your tutorial they should be easy to follow. Great job! Very cute patterns. I'm particularly interested in your Mod design. Looks like a version of a cathedral window. Lovely. I'm following via google reader. You may also want to check out my Golden Quilters Awards Nominations, where nominations are accepted in various categories (best designer) in February. Voting for winners will be held in March. I love your patterns...they are unique! Your patterns are wonderful. Congratulations! I just love your patterns and thanks for entering me in your giveaway! Crazy-cute blog! Best wishes for a long, happy life making quilting patterns! I would love to win! These patterns are so cute! loved your post and inspirations! i would LOVE to win these patterns!! thanks for a chance. Your patterns are beautiful, unique and fresh! Congrats on a dream come true! Amber, Congrats on going for your dream! Your patterns look beautiful. Have you ever heard of the quilting program called EQ6? 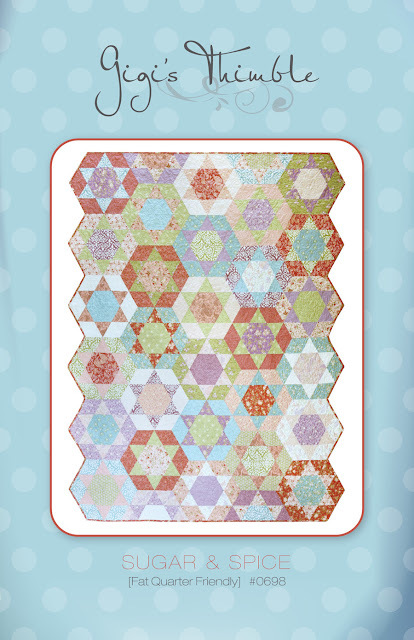 I got a copy of it and it made creating quilt patterns amazingly easy! The tutorials for it were really good too. And they don't have any problem with you using the program to design a quilt and then selling the pattern. They just want you to credit the program a little. My mother in law's nickname is Gigi as well, how funny! I have an online fabric shop and we sell patterns so if you ever want to expand to selling them wholesale, let me know. Good luck! Loving the Rest your Feathers so cute and Moda Medallions well all 3 are amazing patterns. Thanks for the chance to win!! I love that you are caring on your Grandmothers passion to quilt. Your patterns are great and so unique. Can't wait to see what's next. Yeah I'm a follower!!! excited to see where the quilting road takes you!! Im also a lover of quilting and am thrilled to add you to our world. Beautiful patterns as well as your quilts and your choice of fabrics. How exciting! Seems my grandmother was the only quilter in the family as well, but she died when I was a kid and before I had any interest. Wish she were here now to share this love of quilting...you are so fortunate! Congrats on the new venture...hope you do well. These patterns are indicators to me that you will! I love your patterns they are beautiful. Great giveaway! Please count me in! I am a follower and I put a link on my sidebar. I'm glad I found your blog...great patterns! Thanks for hosting a giveaway! Amber, Congratulations on your new venture. Love your patterns! I am a new follow! The patterns are just wonderful, keep up the good work. Congratulations on your new venture! Looks like you've got PASSION and that's what will keep you going! Your patterns a great - fresh and modern! I really like them and am particularly intrigued by the last one you showed! guess you know I blogged it! 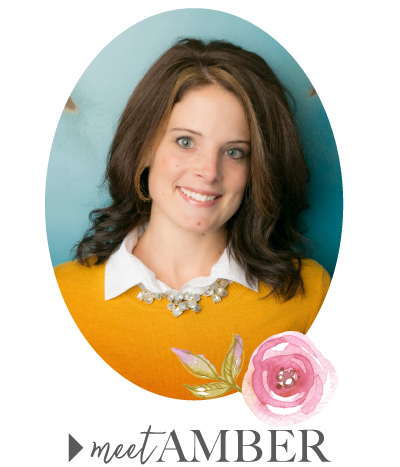 Amber, Just finished a note on my blog about your giveaway and new patterns. I also wanted to say I loved your grandma story. Made me miss my grandma. Amber, this is so nice of you. The patterns are fresh! Best wishes for success with your venture! I'm so excited to find yet another blog to follow! I am happy to add you to the list that I view each day in an attempt to be inspired! Thanks for all the wonderful patterns and things you do! Just discovered your blog from Sugar Spun Quilts. Just found your blog and those patterns are SUPER cute! Really like the mod medalions! Good luck! HI. I just became a follower. How exciting to be able to pursue your dream! What a wonderful story you have about your Gigi. I'm glad to have found you. I'm a follower now that I've found you. Your Mod Medallions pattern is to die for but it scares me because it has curves!!! Ambs, you know I am a FOLLOWER! I am loving the 3rd quilt. LOVE it! I am very proud of you. I posted a hot picture of us on Facebook. You'll love it. I loved your story of your grandmother- My grandmother was also called GG by my son and his cousins as she was their great grandmother. 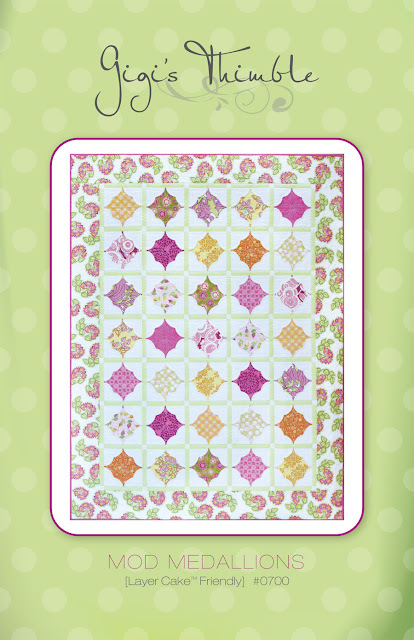 You have created some lovely patterns- your grandmother taught you well- grounded in some important quilting lessons. I will go to sign up to follow your blog. Love your patterns! Congrats on the new venture! I'm following you on google reader! I really enjoyed the story of how you started quilting. You are very blessed to have a quilting grandma. I admire your push to persue the dream of being a designer. I became a follower after seeing the heart quilt you posted. So cute. I would love to win one of your patterns. Best wishes for continued sucess in the quilting biz. I have added your button to my blog. Thank you for visiting. Love your patterns. Please enter me in the giveaway. I am now a follower please submit my name a second time. Sooo exciting to see the new patterns. Congrats!!! Thank you so much for having a giveaway - it's so generous. And thank you for your sweet comments on my blog! Such great work comes out of your laundry room workspace! Just reminds us that inspiration isn't all about the space! I'm a loyal follower now! Your patterns are wonderful! Thank you for a chance in your giveaway. Your patterns are great. Really love the quilt you and your grandmother designed too. Amber I love all your patterns and I love the name Gig's Thimble. I am a new follower, and havve grabbed your button to add to my blog. I love the third pattern. Okay, I've got your button on my sidebar and It works....yeah. I blogged about you and your giveaway. Hope you gets lots of feedback. This is SOOOO much work, congratulations! I am sending you the very best wishes on your new pattern company! Your first three patterns are definitely winners! I absolutely fell in love with the bird house! What a wonderful story also! Congratulations again and here is to years of success! Amber, I am so excited for you! How fun! Your patterns are great! We need to get together again for a sewing night. I really want to borrow that tool you were telling Ammie and I about at the store. Congratulations! Your first three patterns are beautiful. I'm so excited for you. I bet your grandmother is so proud. Love the patterns especially the Mod Medallions! Gorgeous! I'm a follower now. Thanks! I love your mod medallions quilt! Congrats on your new pattern line - I think the designs are great and you'll go far! Love your patterns. Thanks for including me in your giveaway. Your patterns are very cute! Love your patterns. You have an eye for color and design. Keep it up! I love your new patterns!! I love the Mod Medallian!! Good work! Glad I found you. Happy to have found your blog...congrats on your patterns. They look great! 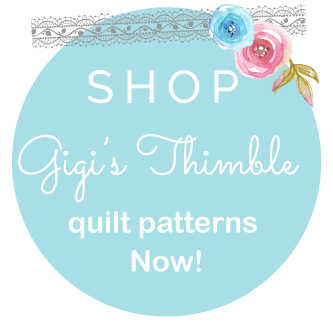 Love the name Gigi's Thimble" and your patterns. I am a "beginner follower" LOL! Love your patterns,especially the Medallions one. Congratulations. I am now a follower. I have put tou in my faves. I love the patterns you created. They are so cute. Where would people be able to purchase them? Congratulations! They are also so wonderful. I am a follower and will put your button on my sidebar. Have a blessed day! Wow -- I'd like to make all three of your patterns. Love the triangular edge on one of them! Congrats and good luck with your business! Oh, forgot to mention that I am now a follower of your blog. If I can figure out how to work the button -- I'll put it on my blog too! I love your patterns, especially the first one! Loved the sweet story of how you named your business. The patterns are all lovely. My favorite is the Mod Medallions. Your patterns are gorgeous. Congratulations on them. I love the name. I love your efforts and your story behind it all. You are awesome and may all good things come your way!!! Blogged about your new pattern company. Awesome. What a fabulous story. I love your sugar and spice pattern and I am now a follower! I have FB'd your give away!